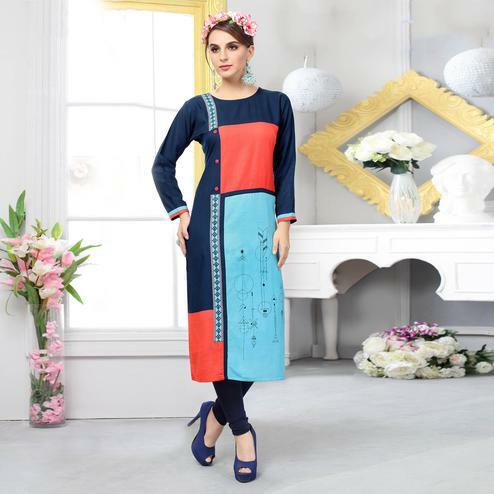 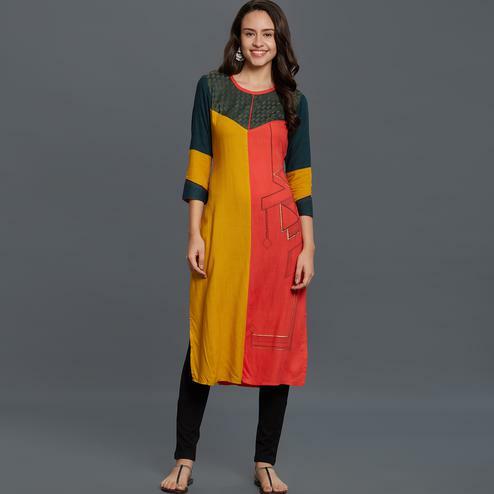 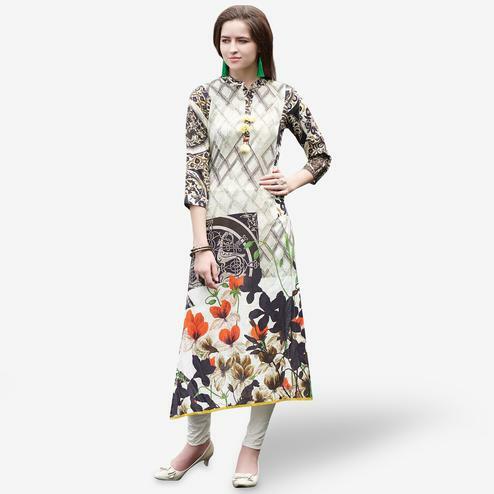 Add more style to your casual look with this multicolored stitched kurti with attractive digital print. 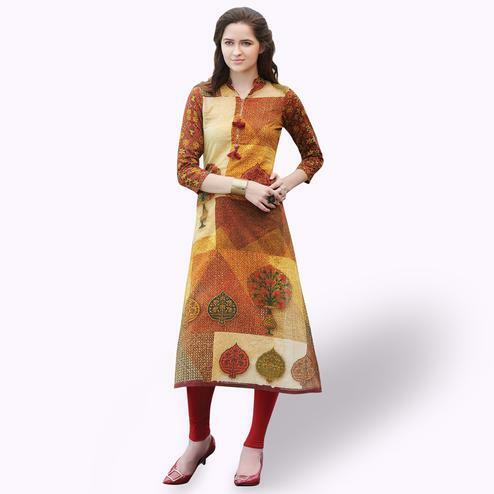 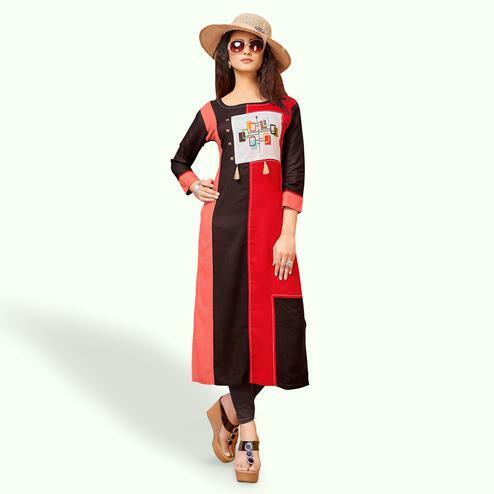 This kurti is made out of crepe fabric which has got round neck, straight cut. 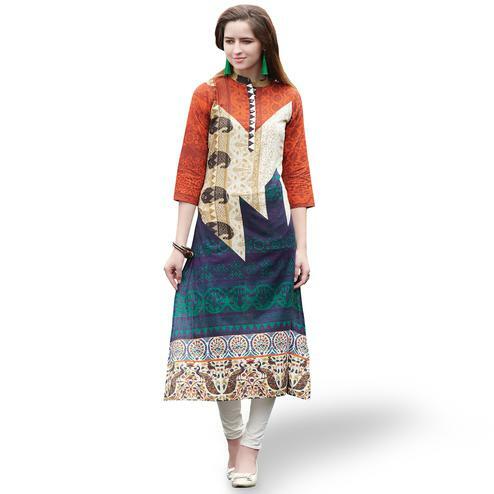 Dess it up by wearing this kurti matching churidar or leggings for a complete look.